Are you looking for Man and van in London which will help you and your family by helping you with your moving requirements? Well if your reply is in the affirmative then you have most certainly come to the proper place. 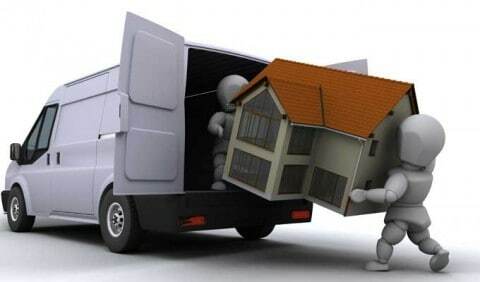 Our staff are used to dealing with people in both commercial and private premises and our services option is designed to give you the most cost-effective solution for a short distance in-town transfer but it can be tailored to meet your requirement even if you need an european removals. Did you know that one of the main causes of neck and back injury in men is caused by lifting a weight above their shoulders in a twisting motion? In other words you are most likely to hurt yourself when loading outsize objects that don’t fit in the car onto your roof rack. They may not be heavy; just bulky and you see no problem in just hoisting it up there. The result is a pulled muscle that causes a nagging pain in the small of your back or searing pain when you turn your head. How could all this have been avoided? Well if you know that you are transporting something bulky then consider selecting our removals service. This is not like regular car or van hire where you have to drive it yourself and you hire for the whole day. This is hiring a man and van for a single job or for longer if you need it. Easy! We don’t provide any packaging for this solution; it’s simply putting a man and van in London at your disposal for whatever time you need. Our movers will carry the load and get your things where they need to be. Let us take the example that you want to move some of your old furniture or bulky goods to local storage or to a friend’s house but your saloon car is not big enough to fit the goods in or you can’t shift everything at once. You’d have to make two or three trips by car to move everything and that’s allowing that your three-piece actually sits safely on the roof of the car (which it won’t). Hire a man and van in London from manandvanuk.co.uk and to start with you’ll cut down the number of trips needed to collect everything. Secondly, you won’t be damaging your property or your car, thirdly you’ll most likely recoup most of the cost of the service from the saved fuel and lastly you won’t get a pain in the neck.